Ultimate Fighting Championship (UFC) returned to action for UFC 215: “Nunes vs Shevchenko 2,” which went down last night (Sat.,Sept. 9, 2017) inside Rogers Center in Edmonton, Alberta, Canada. The promotion’s latest mixed martial arts (MMA) card was headlined by a women’s Bantamweight fight that saw division champion Amanda Nunes hang on to her strap by barely edging out Valentina Shevchenko in a back-and-forth title fight. 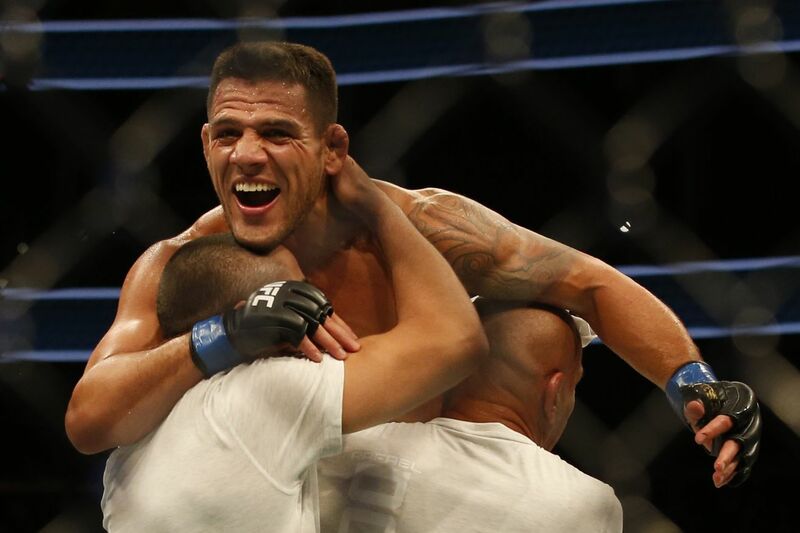 In the co-main event, Rafael dos Anjos continued his assault on the Welterweight division by choking out Neil Magny in the very first round. She wasn’t supposed to be in the main event, but after the Demetrious Johnson vs. Ray Borg title bout was nixed, Amanda made the most of her second chance by outlasting Valentina Shevchenko after five rounds of intense action to hang on to her strap, scoring her first-ever title defense in the process. With two wins over “Bullet” in her back pocket, she has one less contender to worry about. But, the rest of the division is now gunning for “Lioness,” and they’ll be coming hard hoping to be the one to knock her of her throne. Whether or not the promotion gives her top billing on purpose, is another story. For complete UFC 215 coverage, including play-by-play results, click here.